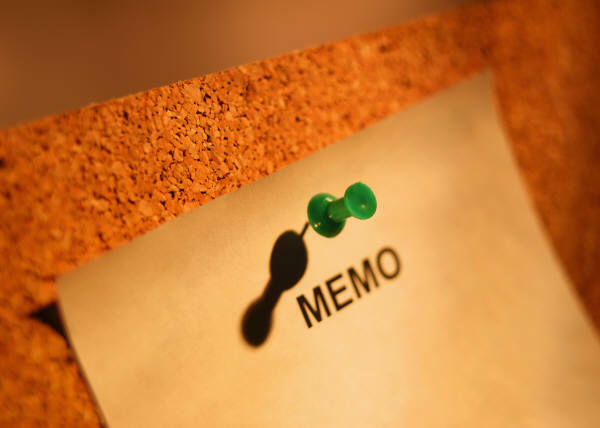 This article is an excerpt from a previously released Sidoxia Capital Management complementary newsletter (August 1, 2013). Subscribe on the right side of the page for the complete text. If you haven’t been paying close attention, or perhaps if you were taking a long nap, you may not have noticed that the stock market was up an astounding +5% in July (+78% if compounded annualized), pushing the S&P 500 index up +18% for the year to near all-time record highs. Wait a second…how can that be when that bald and grey-bearded man at the Federal Reserve has hinted at bond purchase “tapering” (see also Fed Fatigue)? What’s more, I thought the moronic politicians were clueless about our debt and deficit-laden economy, jobless recovery, imploding eurozone, Chinese real estate bubble, and impending explosion of inflation – all of which are expected to sink our grandchildren’s grandchildren into a standard of living not seen since the Great Depression. Okay, well a dash of hyperbole and sarcasm never hurt anybody. This incessant stream of doom-and-gloom pouring over our TVs, newspapers, and internet devices has numbed Americans’ psyches. 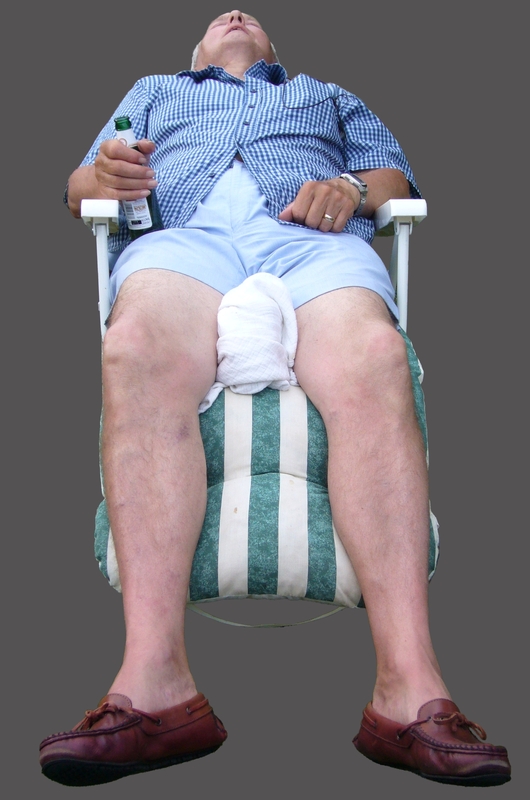 To prove my point, the next time you are talking to somebody at the water cooler, church, soccer game, or happy hour, gauge how excited your co-worker, friend, or acquaintance gets when you bring up the subject of the stock market. If my suspicions are correct, they are more likely to yawn or pass out from boredom than to scream in excitement or do cartwheels. 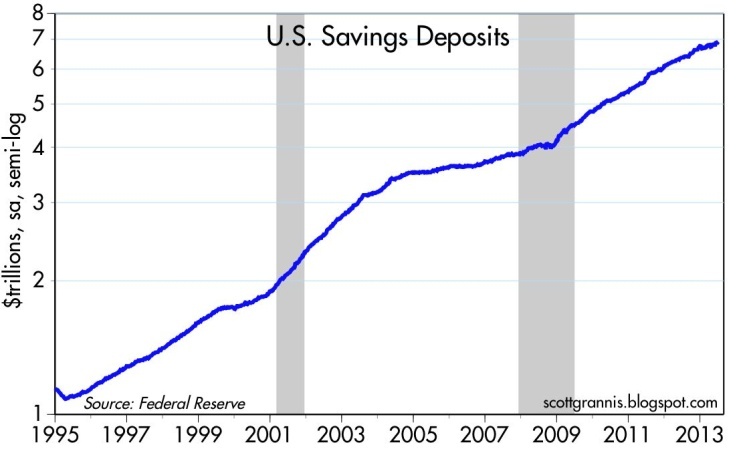 Although there are no signs of an impending recession, defensive cash hoarded in savings deposits has almost increased by $3 trillion since the end of the financial crisis. 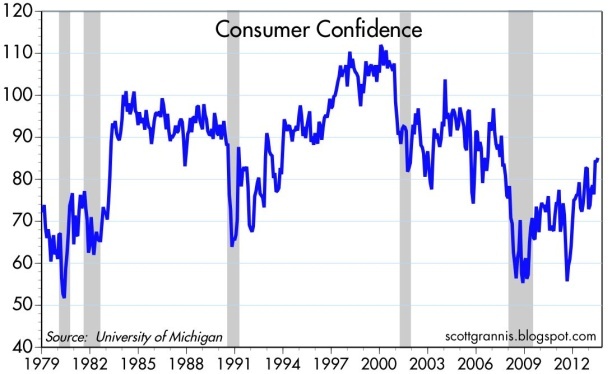 As you can see from the chart above, Consumer Confidence has bounced around quite a bit over the last 30+ years, but there is no sign that consumer sentiment has turned euphoric. 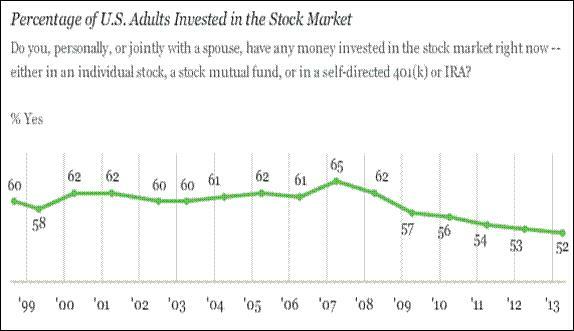 There has been a trickling of funds into stocks in 2013, yet participation in the stock market is at a 15-year low. Investors remain nervous. After a short lived tax-driven purchase spike in January, the buying trend quickly turned negative in the ensuing months. Modest inflows resumed into equity funds during the first few weeks of July (source: ICI), but the meager stock fund investments represent < 95% of 2012 positive bond flows ($15 billion < $304 billion, respectively). Moreover, these modest stock inflows pale in comparison to the hundreds of billions in investor withdrawals since 2008. 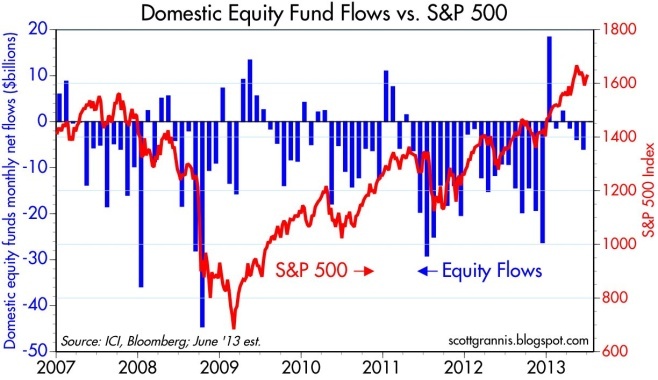 See also Fund Flows Paradox – Investing Caffeine. In spite of the stock market more than doubling in value from the lows of 2009, CNBC viewer ratings are the weakest in about 20 years (source: Value Walk). Stock investing apparently isn’t very exciting when prices go up. And if that is not enough, you can take a field trip to the hater’s comment section of my most recent written Seeking Alpha article, The Most Hated Bull Market Ever. Apparently the stock market more than doubling creates some hostile feelings. The broadest measure of economic activity, GDP (Gross Domestic Product), was reported yesterday and came in better than expected in Q2 (+1.7%) for the 16th straight positive reported quarter (*Q1-2011 was just revised to fractionally negative). Obviously, the economists and dooms-dayers who repeatedly called for a double-dip recession were wrong. The economic recovery has been painfully slow, but nevertheless, the U.S. has experienced 40 consecutive months of private sector job additions, representing +7.2 million jobs created. With about -9 million jobs lost during the most recent recession, there is still plenty of room for improvement. 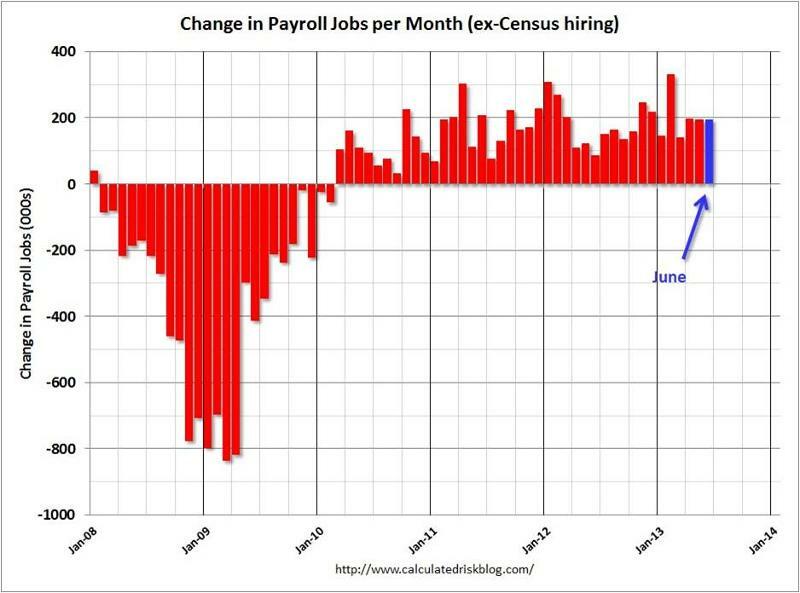 We will find out if the positive job creation streak will continue this Friday when the July total non-farm payroll report is released. 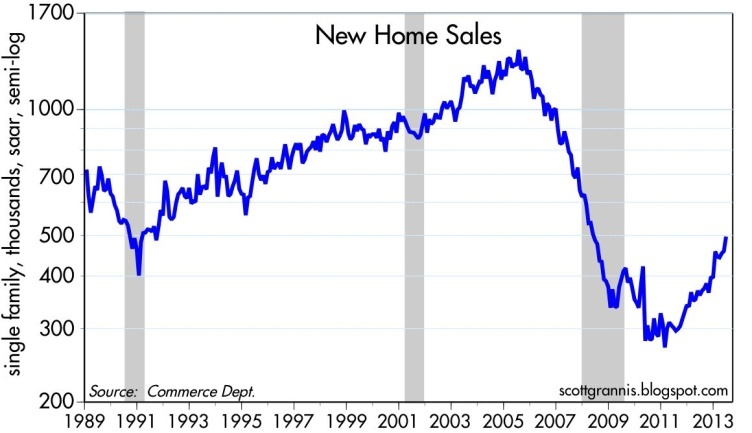 New home sales are up significantly from the lows; housing starts have risen about 40% over the last two years; and Case Shiller home prices rose by +12.2% in the latest reported numbers. The housing market foundation is firming. Auto sales remain on a tear, reaching an annualized level of 15.9 million vehicles, the highest since November 2007, and up +12% from June 2012. 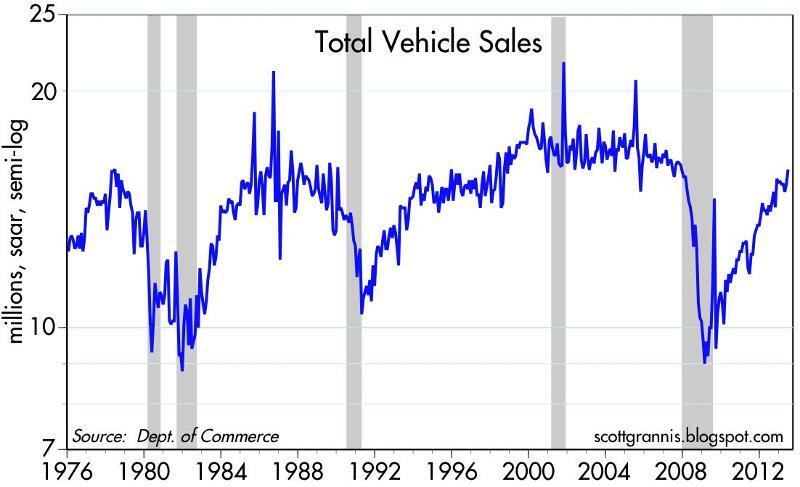 Car sales have almost reached pre-recessionary levels. Optimistic forecasts have been ratcheted down, nonetheless corporate profits continue to grind to all-time record highs. 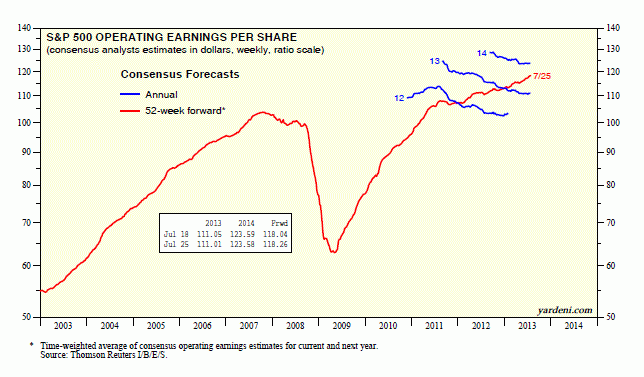 As you can see, operating earnings have more than doubled since 2003. Given reasonable historical valuations in stocks, as measured by the P/E (Price Earnings) ratio, persistent profit growth should augur well for stock prices. As banks around the country have repaired their debt-burdened balance sheets and sharpened their loan requirements, bank stock prices have rebounded significantly (the XLF SPDR Financial index is up +25% in 2013). 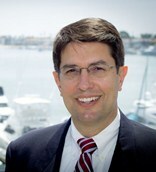 Bill McBride at Calculated Risk has compiled an unofficial list of 729 problem banks, which is down significantly from the peak of 1,002 institutions in June 2011 (down -27%). There has been a significant reduction in problem banks, but the number is still elevated compared to the initial listing of 389 institutions in August 2009. There are signs of improvement in the Eurozone after years of recession. 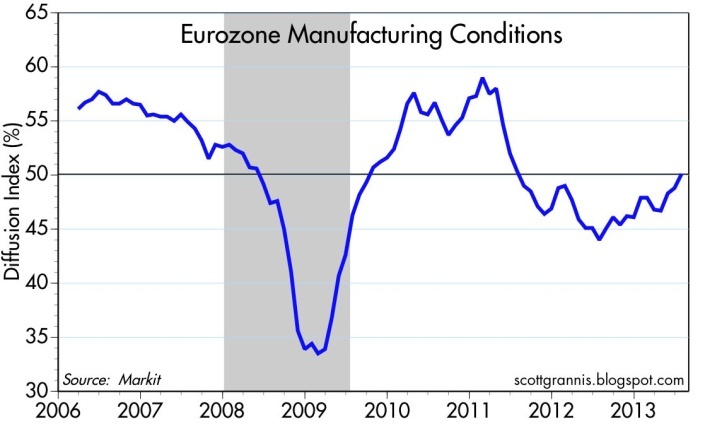 Talks of a European Armageddon have recently abated, in part because of Markit manufacturing manager purchasing statistics that are signaling expansion for the first time in two years. Overall, corporations are achieving record profits and sitting on mountains of cash. The economy is continuing on a broad, steady recovery, however investors remain skeptical. Domestic stocks are at historic levels, but buying stocks solely because they are going up is never the right reason to invest. Alternatively, bunkering away excessive cash in useless, inflation depreciating assets is not the best strategy either. If nervousness and/or anxiety are driving your investment strategy, then perhaps now is the time to create a long-term plan to secure your financial future. However, if your goal is to soak up the endless doom-and-gloom and watch your money melt away to inflation, then perhaps you are better off just taking another nap. Entry filed under: Financial Markets, Themes - Trends. 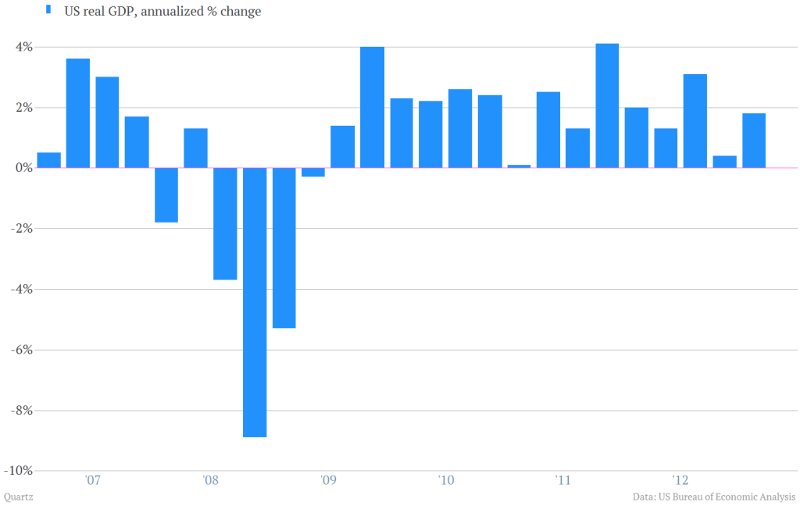 Tags: auto sales, banks, cnbc, corporate profits, eurozone, Federal Reserve, fund flows, GDP, housing, jobs, savings. The Most Hated Bull Market Ever	Who Said Gridlock is Bad?